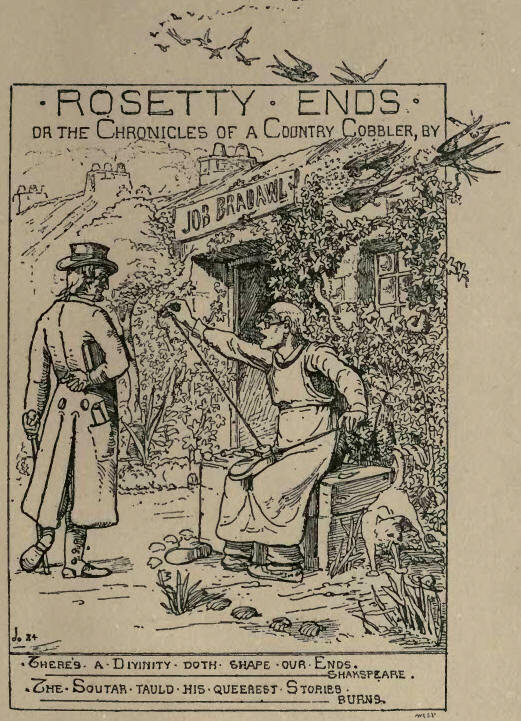 DEAR PUBLISHER,—YOU say you want a "Preface" for Roselty Ends. I am afraid you cannot get it. It is a difficult thing to write a Preface. An orthodox Preface usually explains the high moral purpose which the author had in view, or the circumstances under which the book was written. I do not claim a high moral purpose for the book, and if readers discover evidences of such in its pages, it is at their own risk, and I wash my hands of all responsibility. It would be unwise to assert that the book has been issued to fill the felt want of a thoroughly reliable technical dissertation on the important subject of leather, because readers would promptly find out that the book was not built that way. 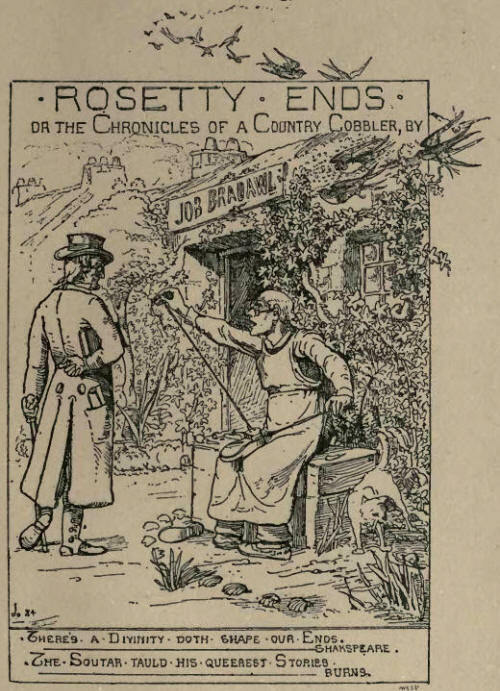 Rosetty Ends was not written to dispel the ennui of a sick-bed; it was not written to relieve the tedium of a number of snow-bound passengers on the Highland Railway; nor was it compiled to mitigate the monotony of the existence of the entombed victims of a coal-pit explosion, although it is humbly hoped that the book might be useful on such occasions. Had Rosetly Ends been written under so romantic circumstances as these, the public might have been glad to know it; but having no such sentimental apology for its existence, it may be better to face the reader without the usual "please-don't-kick" page.